Energy consumption is one of the hottest topics in new building construction – no pun intended. The drive to reduce energy grows more urgent as developing nations increase construction projects designed to support their economic activities. Nations closest to the Equator are those most in need of simple, reliable solutions that reduce the need for electricity. That’s where self-tinting glass comes in. A team of researchers at the University of Colorado Boulder has developed a novel material that can cool buildings without consuming any power. The material, which is a thin film composed of silver and glass in a polymer known as polymethylpentene, can be produced less expensively than comparable films made from other materials. The film works because the solar radiation passes through the polymer, but reflects off of the silver layer. The silver layer does not absorb the solar radiation. Instead, the glass reflects the heat, which is created by infrared waves, away from the glass. The film has been tested under midday heat – the point at which the infrared waves are most intense – and it has performed very well. The new material can be produced quickly and efficiently, using a roll to roll process. The finished film is about as thick as a piece of aluminum foil, like the kind used in a kitchen. The team will continue to test the material to determine its overall durability and longevity. The team will also experiment with a “cooling farm” in 2017. According to the University of Colorado researchers, 10 to 20 square meters of their material would keep an average sized home continuously cool during the summer. Having said that, they also caution that the film isn’t something that can simply be applied to a home’s roof and left in place, because while it will cool the home effectively in summer, it will also cool a home in the winter – an undesirable condition, especially for homes in the northern part of the country. Researchers at Stanford University developed a similar film in 2014, but that composition used alternating layers of silicon dioxide and hafnium dioxide. This film is more expensive to produce, and hafnium dioxide is in limited supply. The University of Colorado Boulder team uses commonly available materials. Both materials have a surface temperature that’s less than the surrounding air temperature, even in midday heat. Researchers at Berkeley National Labs are working to develop a paint-on coating that reflects heat. If successful, the coating could be added to existing windows for about one-tenth the cost of conventional heat-reflective glazes. The researchers even speculate that the coating could be applied by homeowners as a do-it-yourself project. The coating will be designed to selectively reflect infrared light waves without significantly reducing visible light. Like many energy-efficient coatings, the Berkeley coating will also be designed primarily for use in southern and western climates. These buildings tend to use a significant amount of electricity for air conditioning. The goal of the development is to create an inexpensive, easy-to-use coating. If they succeed, the coating could reduce energy consumption by as much as 35 billion KWh and 24 billion pounds of CO2 emissions annually. The team’s goal is to create a coating that could be applied for about $1.50 per square foot. To create the coating, the team will work with a type of polymer known as a “bottlebrush” polymer. The unique shape of the polymer – a rigid spine with bristles that extend from the sides – could help reflect infrared light, while allowing visible light to pass unimpeded. The work is being funded by the US Department of Energy, and will allow the team to develop, refine and test the coating. Another element of the project is to determine how best to scale production, maximize the coating’s efficiency and distribute the finished product. Switchable glass – glass that changes from transparent to opaque and back again – isn’t new, but researchers at MIT have developed a glass that uses power only when the glass switches. The stable-state switchable glass could significantly reduce energy consumption in buildings that receive direct sunlight, and also offer a low-power alternative to traditional switchable glass. Typically, switchable glass requires power to remain in its opaque state. The regular (although low) power drain diminishes the savings that the glass generates. By developing glass that requires power only when it is actively switching states, the team has created a potentially new option for energy-saving glass. The new glass is made from electrochromic materials, rather than photochromic ones. The new material switches states instantly when electricity is applied. In contrast, photochromic materials have a delayed response to the presence of light. Existing electrochromic materials also have similar limitations, and require constant power to retain their opacity. Electrochromic materials rely on the movement of both electrons and positive ions to create an opaque effect. While electrons move very quickly, positively charged ions – which do the actual color-changing work, do not. When the electrical current is discontinued, the negative electrical state that attracts the positive ions is canceled, which also cancels the opacity of the glass. The new glass uses metal-organic frameworks (MOF), which can conduct both electrons and positive ions very quickly. This eliminates the delay in achieving opacity. Another benefit of the technique is that the research team has been able to create a “near-black” color when the glass is opaque. The glass also uses a combination of an organic material and a metal salt that self-assembles into a thin film that can switch between virtual transparency and virtual opacity quickly. The glass is still experimental, and the researchers are currently working with very small glass. The next step is to increase the size of the glass and verify that the properties it displays on a small scale still work on a larger scale. If perfected, the glass could be used in buildings, airplanes and other locations where it can address issues of glare or energy consumption. One way to address both glare and energy consumption today is through the use of Glassprimer™ glass paint. Glassprimer™ glass paint provides exceptional UV-light rejection while allowing visible light transmission. Glassprimer™ glass paint is applied directly to glass, and makes a permanent bond with the glass. It is suitable for both interior and exterior use, is available in virtually any color and costs about $1 per square foot. In yesterday’s post, we looked at energy efficiency and glass, and how technological advances in glass have given commercial interiors the edge in reducing energy consumption. Today’s post looks at the most recent energy efficiency developments in glass, and how modern coatings like Glassprimer™ glass paint can help conserve energy and improve comfort. In the late 1980s and early 1990’s, new research was aimed at developing dynamic glass – glass that could automatically change tint based on conditions, reduce heat build-up and reduce glare while still providing a high degree of light-transmission. Comfort and convenience were the primary drivers of glass technologies, even though a clear benefit was a reduction in energy consumption. By the mid-1990s, sales of low-e glass hadn’t changed much; if anything, they declined slightly. Today, energy efficiency is a greater concern, and while low-e glass doesn’t dominate the residential market, more than half of commercial windows are low-e. The need for a significant amount of natural lighting in commercial spaces, combined with mandates to reduce energy consumption drive the commercial low-e market. Low-e glass is now combined with energy-efficient fabrication techniques and new materials and coatings to create highly efficient, highly functional windows. Specialized glass coatings, like Glassprimer™ glass paint can also contribute to an increase in energy efficiency. Glassprimer™ glass paint offers exceptional UV-protection, which reduces heat build-up, discourages heat loss and resists peeling and fading over time. Glassprimer™ glass paint is also cost-effective. A single gallon of Glassprimer™ glass paint can cover about 265 square feet of glass. The paint can be used to achieve full coverage or partial coverage, and can be used to create a frosted effect. The nanotechnology that underlies Glassprimer™ glass paint actually modifies the surface of the glass, creating a permanent bond with the glass. Being able to create this bond is key to delivering superior UV-protection and performance, even under the most challenging conditions. Glassprimer™ glass paint works with any kind of glass. A window coated with Glassprimer™ glass paint will provide UV protection and reduce the build-up of heat while still preserving light transmission. If you’d like more information about Glassprimer™ glass paint’s energy efficiency applications, please check out the rest of our site. If you’d like to purchase Glassprimer™ glass paint, please visit our online store . Glass has been used in decorating and interior design throughout recorded history, but it fell out of the residential landscape during the post-World War II housing boom, when materials were hard to come by. Architectural glass has remained a staple in commercial buildings, in both interior and exterior applications. The use of architectural glass in buildings poses a challenge. By itself, glass isn’t energy-efficient. 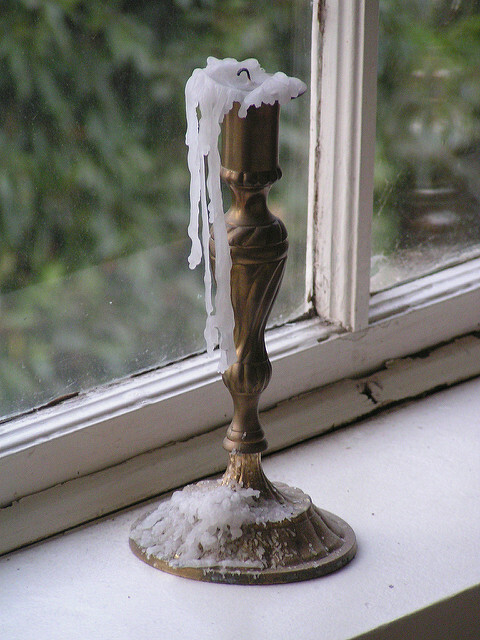 In the summer, glass tends to trap heat in buildings. That requires significant amounts of energy to make the building comfortable. In the winter, heat readily escapes. Just as in the summer, the low insulating ability of glass means increased energy use to make the building comfortable. Nonetheless, glass has made a comeback in interior design, and in a variety of ways. Glass is an extremely versatile material, and can be shaped in a variety of ways, and incorporate a limitless number of textures. Using shapes and textures, glass makes an ideal material for doors, walls, partitions, furniture and countertops. In some cases, it may be desirable to treat the glass to improve its performance, create additional privacy or even improve the energy efficiency of a space. Because of its nature, glass doesn’t typically take paint or other coatings very well. This limits your ability to modify the glass. Enter Glassprimer™ glass paint. Glassprimer™ glass paint is specially formulated to bond to the surface of glass. This makes Glassprimer™ glass paint an ideal coating for surfaces like textured glass, which won’t retain applied films. With Glassprimer™ glass paint, you can apply a permanent surface coating to the glass that will remain beautiful for years. Glassprimer™ glass paint reflects UV light, which reduces the amount of trapped heat in buildings in the summer, and allows the glass to better reduce heat losses in the winter. Glassprimer™ can help improve the overall energy efficiency of building windows. It also offers an option for decorating or improving architectural glass used in building interiors. Glassprimer™ glass paint comes in virtually any color and can be tinted to match the color palette of any major paint manufacturer. It is also more cost-effective than acid-etched glass.